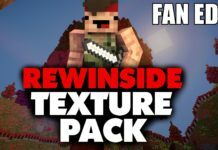 【ᐅᐅ】Minecraft Texture Packs: Best Resource Packs 2019 • daily new! Modern, stylish, and really cool – these are just some features of a Resource Pack for Minecraft. Benefit from our years of experience and find a texture pack that fits your requirements. Filter by category, and version to make the search easier – and find your favorite pack. Minecraft adventurists are always looking for the next great way to build. The adventure only ends when our imagination lets it end. 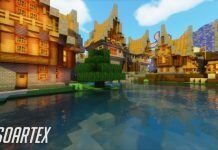 Texture Packs are one colossal way to extend that experience into the stratosphere. We are only limited by what we can envision as the next potential possibility within our Minecraft world. We are always just one brainchild away from establishing the next big block inspired creation. With Texture Packs, Minecraft becomes an extended version of our own unique personality. Minecraft is fascinating because it allows us to create infinitely. We have the opportunity to roam freely without the boundaries of other so called open platform games. Minecraft is one of the true originals in that regard. You can truly construct your dreams until your heart is content. The game play is unlike any other experience for those reasons. The original version of Minecraft, while all of those things, eventually became too small. Even though the world was infinite, enthusiasts wanted the opportunity to move forward with different building blocks. They were hungry for different colors. There was a need for different sounds. It further stimulates the game play to see new wrinkles in a time tested favorite. It makes it more enjoyable for a longer duration. Additions and improvements were a necessary evil. Little did anyone know how crucial and beneficial those additions would become. The newest additions would start a new craze in itself. It was a craze that would perpetuate Minecraft into an entire new generation of players. You can just say even the best games get less exciting after great lengths of time. Minecraft grew so quickly in popularity that the majority of kids were in tune with it. The need for adjustments within the game play became a necessity because of that. Each player wanted to achieve different building opportunities within the same framework of the Minecraft World. Each player eventually logged so many hours that it was inevitably the same experience time after time. Additions were on the way. These additions would spark Minecraft back into the forefront of building block game play. For builders, there is no substitute. Minecraft is the original. Dreamers could envision so much and build so little before. With Minecraft, opportunity became giant. That’s why amazing additions like Texture Packs and Resource Packs were instantaneous hits among the Minecraft Community. Each provided their own unique advantage and rendered something completely different for Minecraft followers to behold. Minecraft players were ecstatic about the opportunity to grab the files as quickly as they populated. 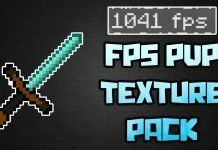 The Texture Packs and Resource Packs are still hugely popular to this day. They were simple to install and easily enjoyed. They were inexpensive across the board. Everything Minecraft fans were hungry for they received with Texture and Resource Packs. It was the icing on the cake of an already incredible game play adventure. There were multitudes of Texture Packs. Some were free. Many were a drop in the bucket for cost. Many created their own and shared. The downloading of Texture Packs became a healthy trend. What is a Minecraft Texture Pack? A Minecraft Texture Pack can change the entire look and feel of your adventure. It’s an opportunity to remove the signature look of the game. You can install different textures to create something extraordinary. The default textures can become boring and somewhat predictable after some time playing the game. The new textures allow you to rejuvenate your game with amazing new experiences. 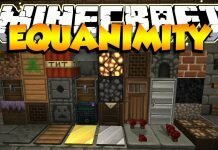 What can a Texture Pack change? 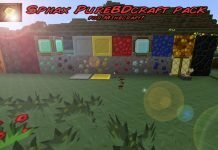 A Texture Pack is a revision that enhances the look. It does not change your physical game play at all. You can install several different Texture Packs. The Texture Packs will not change every item within the game. They will just change certain elements. A Texture Pack can replace the default (or original) textures for blocks, mobs and other items. The Texture Pack also can change the GUI. This gives the player the chance to see new items instead of the same old originals. It can spice up the game for every type of player. Many long time Minecraft adventurists will insist they were simply bored with the bland look of the default textures. A Texture Pack gives you the opportunity to switch everything up. The best way to get an impression of the Top 10 Minecraft Texture Packs is to watch the full video. Please subscribe to our YouTube channel. 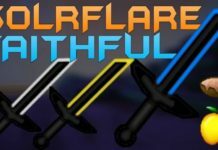 What is the major difference between a Texture Pack and a Resource Pack? A Resource Pack can change things like sounds, effects and music. Texture Packs typically only revise the textures. A Resource Pack can also contain different block modules. 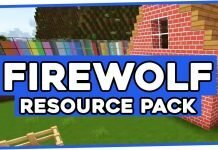 The Resource Packs will give the player the chance to modify many more elements to their Minecraft gaming opportunity. A Resource Pack is another easy install for the Minecraft experience. Gamers will want to take advantage of the various opportunities to change the complete look and sound of their Minecraft play. Both are substantial in the Minecraft gaming community these days. 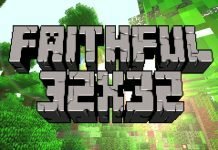 Many players will opt for either or a combination of Texture and Resource Packs to enhance their gaming experience. Serious Minecraft gamers will want to modify their experience to continue getting a different feel for their individual game. Our website provides many benefits for new and veteran Minecraft enthusiasts. There are many Texture Packs to choose from. You’ll have an opportunity to browse the multiple options within our Minecraft community. You can choose which Minecraft Texture Package is the right fit for you. You can also choose several options to either install simultaneously or individually. We offer a wide range of experience to give you insight and tips on how to become the best possible Minecraft player. 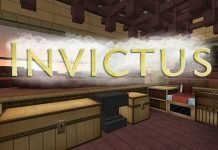 We provide valuable information on installation techniques with Texture Packs and Resource Packs. We’ll inform you on which items are potentially changeable with these additions to your version. 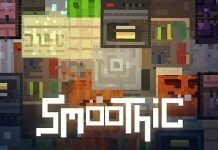 We focus on Texture Packs and additions that stimulate every player from novice to expert. 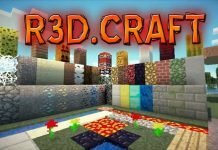 Our website also provides much more insight on different categories within the framework of Minecraft and how each works. We’ll provide tips for the novice on how to take advantage of early playing. We also cater to expert players with pro style advice. The website also distinguishes the difference between versions and correlates game play advice accordingly. 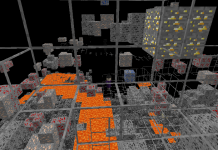 Our Minecraft knowledge is vast and our community only will enhance your playing experience. The best resource packs for Minecraft. From players for players. 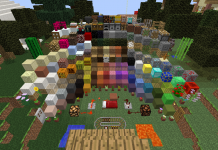 Visit our website frequently and check out our newly added resource packs for Minecraft. „Minecraft“ is a trademark of Mojang Synergies AB.